On the hunt for quality used car dealers near you? It can sometimes feel impossible to locate dealers in your area that know how to provide the top-notch shopping experience that you’re looking for. 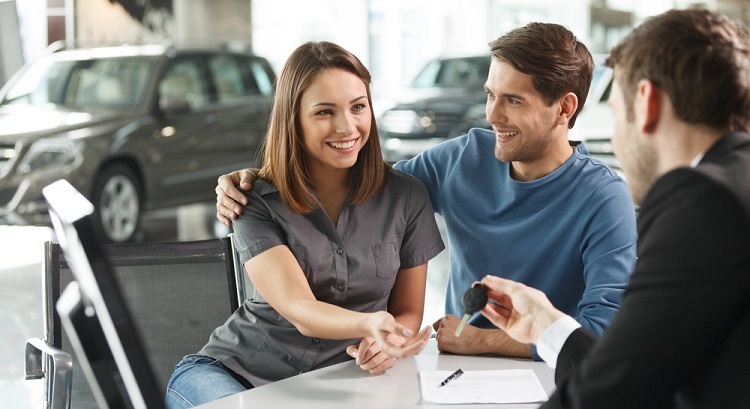 Everyone can benefit from shopping with dependable used car dealerships in Waukesha, whether you’re shopping for a first car or if you’re an experienced buyer. Telling which used Chevy dealers can offer the top-notch experience you need isn’t always as easy as it should be. Some dealers will end up just wasting your time! In order to find the right car, truck or SUV for you and your family, you should prioritize finding used car dealers near you that carry a broad selection of the best selling vehicles to be found in the Waukesha area. To have the best chance of finding your ideal vehicle, you’re going to want many different options to consider. The top Chevrolet Waukesha dealers will offer more than this, however. They’ll go the extra mile by providing quality customer service to help make your buying process as easy and convenient as possible. Having a team of courteous car experts to help you shop can make a world of difference when you’re trying to find a car that will satisfy your lifestyle and budget needs. Where can you locate used car dealers near you that know how to offer all of this and much more? One used Chevy dealer is the clear choice - Ewald’s Chevy! We’ve been serving buyers from Waukesha and surrounding areas for many years, and over that time we’ve earned a stellar reputation for honest dealing, a great selection of used cars for sale and world-class service standards. When you shop with us, you’ll be treated to a car buying experience that is hard to find elsewhere. Our team is committed to helping you find the car, truck or SUV of your dreams at a price that works for you! Stop by today to get a first-hand look at all the fantastic vehicles we carry. If you’re eager to get your hands on a top of the line Chevrolet vehicle, then you’ve come to the right place! We’re experts in helping local buyers just like you find cars, trucks, and SUV that match their needs, wants and budget. New Chevy vehicles are definitely an attractive option, but they come at a higher price that can be tough to justify for some Waukesha shoppers. If you’re shopping for your next ride on a budget, then buying new might not be the ideal option for you. Not to worry. Buying a new car isn’t the only way to get ahold of a fantastic Chevy vehicle at Ewald Chevy! We carry a great variety of used cars for sale to fit any use cases or budget requirements. We offer the full range of pre-owned Chevy vehicles, along with many used options from other popular car makers. Whether you want a spacious used family SUV with ample seating room or a well-equipped work truck to power through all sorts of demanding tasks, we’ve got what you need. If you’re shopping for used cars for sale near you on a tight budget, then you should check out our stock of used cars under $10,000. You can score an amazing deal on a quality pre-owned ride that will handle all of your daily driving needs with ease. Don’t bother with other used car dealers near you who may just waste your time - shop with the trusted professionals at Ewald Chevy! Here at Ewald Chevy, we think that the car buying experience should be easy and convenient from start to finish. For many shoppers, financing their next vehicle can be the most stressful and time-consuming part of buying a car. You might not be sure what kind of car loan you can qualify for - so you can’t tell what sort of cars you should be considering! We want to take the hassle out of qualifying for a great car loan that will help you get into your next vehicle the easy way. To get started, we make it as simple as can be to get pre-approved for financing online. You’ll just need a few minutes to fill out the form and some basic financial information! It’s fast, simple - and you’ll find out in no time what kind of car loan you can get approved for. Want to get a clear idea of the monthly car payment you can expect when you buy from Ewald Chevy? Use our Auto Loan Calculator to get an accurate idea of your monthly vehicle payment! You can use this information to inform your buying decisions and make the ideal choice for your situation. At Ewald Chevy, we’re the used car dealer near you that’s committed to helping you find affordable car financing!